Packed in woven bag lined with PP or PE bag of 25KGS or 1000KGS net each. Liquid product:Packed in 1000L IBC TANK of 1570kgs net each or packed in 200L plastic drum of 320kg net each. 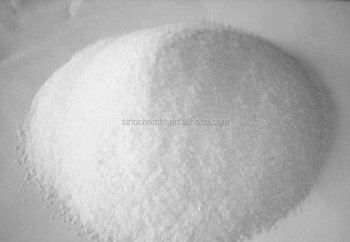 Properties: The product of potassium formate liquid is colorless and clear, density of saturated solution is 1.58 g/cm3; and the product of potassium formate solid is white crystal, strong moisture-absorbing performance, reducing, density 1.9100g/cm3, easily soluble in water, non-toxic and non-corrosive. 4. As road snow-dissolved agent, early strength agent of cement paste, and in carbon black manufacture, leaf fertilizer and other industries. Solid product: Packed in woven bag lined with PP or PE bag of 25KGS or 1000KGS net each. Storage: The product should be kept in shady, dry and ventilated warehouse, prevented from sun and rain, and positioned in some place away from heat and fire. Shenyang Sinochem Biotech Co., Ltd.